We believe that your learner comes first. 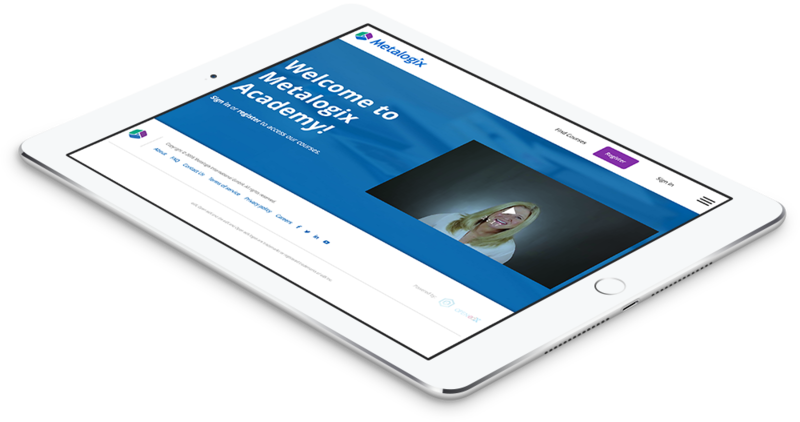 We are trusted by the world's leading learning professionals to deliver seamless, authentic, and hands-on training experiences your learners will love. Open edX is the online learning platform founded by MIT and Harvard. It is being used by some of the largest organizations in the world and has proven itself as a scalable platform serving 10M+ registered users. Open edX is open-source — meaning, it is constantly innovating with contributions from the likes of Stanford, Google, Microsoft, etc. — and it can be modified as you need. It’s easy to use both for students and course authors, and it is scalable, extensible and versatile. As one of the earliest Open edX pioneers, Appsembler has worked with customers of all types to look at their unique online learning needs, and adapt the Open edX platform to fit those needs. Companies who have traditionally trained their employees, customers and partners in a classroom or using webinars, are now realizing that this model doesn’t scale. It’s difficult and costly to get everyone in the same place at the same time, and the rapid pace of change in their products and services means that people need to be continuously learning, not just getting training a couple times a year. InterSystems uses Open edX to deliver highly engaging courses to their customers and partners. Qualcomm/NXP offers over 100 courses to customers and partners on their Open edX site. Features our Taxonomy Manager product (“Taxoman”) to provide an improved course discovery experience using faceted search. Many organizations are turning to online learning platforms such as Open edX to expand access to their professional development and training offerings. We’ve helped these organizations integrate Open edX with other systems that they’re already using. Fast Lane is a leading provider of IT training to major Fortune 100 companies. They use Open edX together with Magento to power their entire online learning operations. Universities and other educational institutions know that digital learning is a disruptive force in the world of higher ed, and the most innovative institutions are experimenting with the online delivery model. This might mean reaching students who wouldn’t otherwise be able to enroll due to cost or location (see ASU’s Global Freshman Academy), or it might mean empowering faculty with a new way of engaging with their students and providing more personalized learning (see Open University’s S309 geology course on Open edX). Features integration with Salesforce and Magento. Driving Disruptive Education at Open University with Open edX (part 1) (part 2) highlights the empowering publishing workflow that faculty now enjoy thanks to Open edX. Oslo and Akershus University College of Applied Sciences is the largest state university in Norway. Based on research and development, HiOA offers undergraduate and graduate degrees in engineering, nursing, health care, economics, social sciences, and more. Features Norwegian courses and SSO integration with their campus identity provider. Open edX is increasingly being used to deliver online courses in the health and medical field, due to its versatility and robust library of problem types in the sciences. Brain Story Certification by the Alberta Family Wellness Initiative is an online course aimed at improving understanding of the developmental changes in the brain. ExtraCare’s mission is creating sustainable communities that provide homes older people want, lifestyles they can enjoy and care if it’s needed. ExtraCare Learning offers workshops for members of the ExtraCare community. Health Information Systems Program (HISP) at University of Oslo (UiO) offers a course on DHIS2, a free and open source health information management platform.